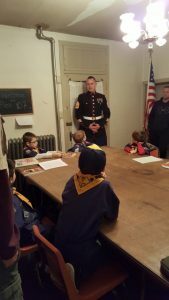 Cub Scout Pack 107 enjoyed a visit from a very special local Marine! This visit was part of a badge requirement. Scouts learned about what the Marines do and even got to try some MREs!